Paula Zuccotti is a leading expert in global consumption and a respected authority in consumer behaviour and product interaction - past, present and future. 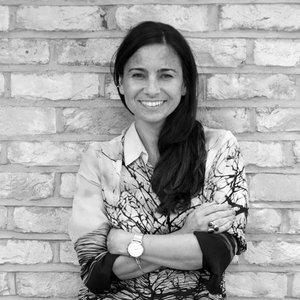 Founder of research and creative consultancy agency TheOverworld Paula has over 15 years of experience travelling the world researching people's everyday lives and uncovering insights envisioning products, brands and services for the likes of Google Creative Lab, Starbucks, McKinsey, R/GA and LG. As an industrial designer, ethnographer, trend forecaster and artist, Zuccotti's story blends the fields of design, society, technology, anthropology and art. Camera in hand, her work is a visual feast of objects, people and culture. She is the author of the book Every Thing We Touch and the creator of the feature documentary Future Archeology.